For business or pleasure, this high-quality and easy-to-use WXGA , 3.000 -lumen Laser projector works equally well at education environments or in the Meeting room or Home. An WXGA , 3.000 Lumens DLP Laser Projector with a vast range of adjustment, and BrightEra for higher quality colour and a longer lifespan. The BenQ LX810STD is equipped BlueCore, a light engine that utilizes the unparalleled qualities of a laser light source to achieve optimized energy efficiency, projection performance and readiness. It also incorporates the BlueCore-enhanced SmartEcoTM technology to further reduce light source power consumption by up to 70% for a significantly lowered total cost of projector maintenance and ownership. Free of mercury, the BenQ LX810STD is a safer, smarter and environmentally friendly choice for the school. Offering a big screen in short distance with a 0.61 short-throw ratio, LX810STD eliminates distracting shadows and glare for students and teachers to engage and collaborate freely in front of the board. To harness the high output of the powerful laser light source, BenQ engineers utilized dual color wheels for BlueCore Laser Projectors to significantly improve pure RGBY colors achieved by eliminating the white segment of a conventional color wheel. Through an ideal mixture of the red, green, blue and yellow color segments, BenQ Laser Projectors produce brilliant color and a wider color gamut than conventional lamp-based projectors. Balanced RGBY optimization makes high color projection more efficient while also resulting in pure white and brightness which is ideal for presentations. For perfect projection performance, LX810STD produces 3,000 ANSI lumens and XGA 1024x768 high resolution for clear, sharp images and text even in large, bright classrooms. High brightness allows lights to be kept on during lessons, and the wide-aspect high resolution increases readability for expanded content. LX810STD features a sealed optical engine that fully protects the DLP chip, color wheels, and light path components. It effectively eliminates color wheel sensor failures, visible spots on images, and eliminates color decay to significantly reduce service costs and downtime. 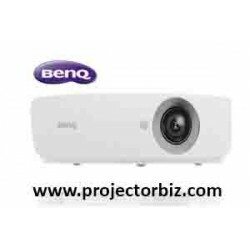 You can buy BenQ LX810STD online in Malaysia on www.projectorbiz.com, the best price and after sales services.